I decided I needed to do more summer knitting and selected this tank from Rebecca 27. The pattern called for GGH Samoa, which I wanted to use, but I didn't find any colors I liked. 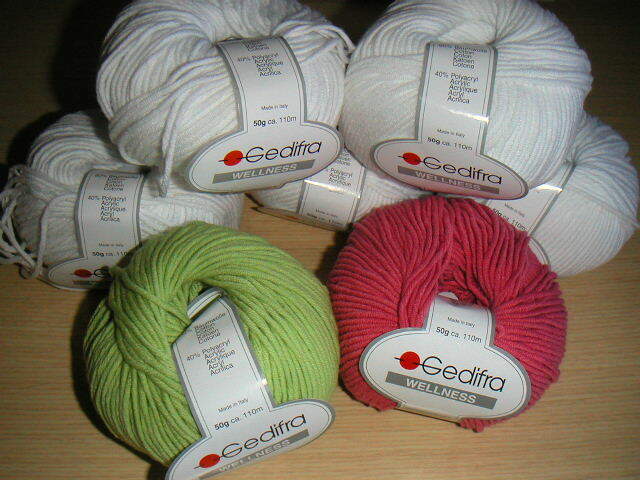 So, I opted for the Gedifra Wellness. My tank will also be white but with pink and green stripes. I think this tank will be really fun to work on because it is knit entirely in one piece, with the lengthways stripes grafted on later. I have already started and am done with about five inches of the body.